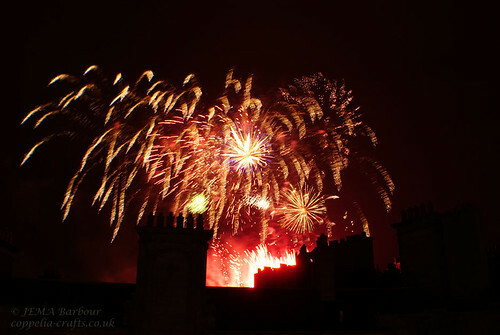 The Edinburgh Festival has come to an end with the city’s annual firework display. 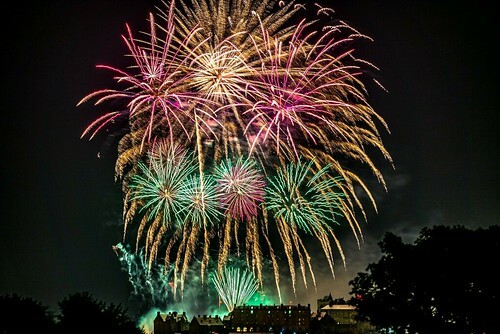 Approximately, 250000 spectators watched the fireworks display across Edinburgh last night. Over 400,000 fireworks were electronically fired during the concert. The firework display was designed by Mr. Keith Webb of Pyrovision, who synchronized the display with live music by the Scottish Chamber Orchestra, which was conducted by Mr. Clark Rundell. This year’s Edinburgh festival, as in previous years went out with a bang. The fireworks show was watched by upwards of 250,000 people across the capital. The World famous Scottish Chamber Orchestra performed live whilst the team of firers from Castle Fireworks choreographed the display, which took four tonnes of explosives and 400,000 fireworks in conjunction with the music. As you might imagine, the display took almost a week to set up and the rewards of their efforts were evident for all to see. The last time there was this much explosive power in one place, it was under the houses of parliament at the hand of Guy Fawkes. This year the ‘theme’ was a little more taxing to tie down. The works of the Russian composer Musorgsky who created the beautiful orchestral piece ‘Pictures at an Exhibition’ used music to depict imagery in all its forms and the huge brass fanfare’s added that bit of class to the fireworks. This spectacular event has been running for a number of years and long may it continue. This year’s Edinburgh festival, as in previous years goes out with a bang. The fireworks show is a 45-minute spectacular beginning at 9:00pm on Sunday 1ST September. The World famous Scottish Chamber Orchestra will perform live whilst the team from Pyrovision will choreograph the display in conjunction with the music. The best place to experience the whole of the Virgin Money show will be from the grand grounds of Princes Street Gardens which are situated beneath Edinburgh’s beautiful castle. Everyone should note that the event opens to priority ticket holders from 6:30 but the public entrances will be opened from 7:00pm. You should note that whilst the organisers will allow you to bring your own picnic along to the event, you must not take any glass bottles or picnic tables as they will affect the viewing pleasure of others and can be hazardous after dark. This year the ‘theme’ is a little more taxing to tie down. The works of the Russian composer Musorgsky who created the beautiful orchestral piece ‘Pictures at an Exhibition’ uses music to depict imagery in all its forms and the huge brass fanfares will add that bit of class to the fireworks. This spectacular event has been running for a number of years and more than 100,000 fireworks will be used to ensure that this will be a truly wonderful spectacle. It is certain to be a concert that you will not wish to miss. More details are available here.